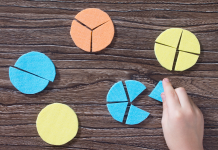 This lesson provides students with the opportunity to further develop their understanding of multiplication facts through multiplication arrays. Additionally students learn about factors, prime, composite and square numbers. This lesson was designed for a year 3/4 composite class, has been tested and worked well. However, it does take 2-3 lessons (depending on the length of time you have for each lesson) to complete. 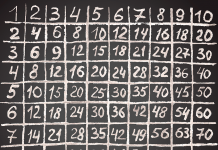 Introduce students to a rectangular array showing them where the rows and columns are. Show students that 3×4 (3 rows of 4) is the same as 4×3 (4 rows of 3) by rotating the rectangular array. Explain that both arrays show the product 12 as well as the factors 3 and 4. Factors: The numbers that are multiplied together to get another number. Product: The result of the multiplication. Ask students to identify other factors of 12 and demonstrate to them what the arrays look like. E.g. 1×12, 6×2. Select another number and brainstorm the factors of that number. 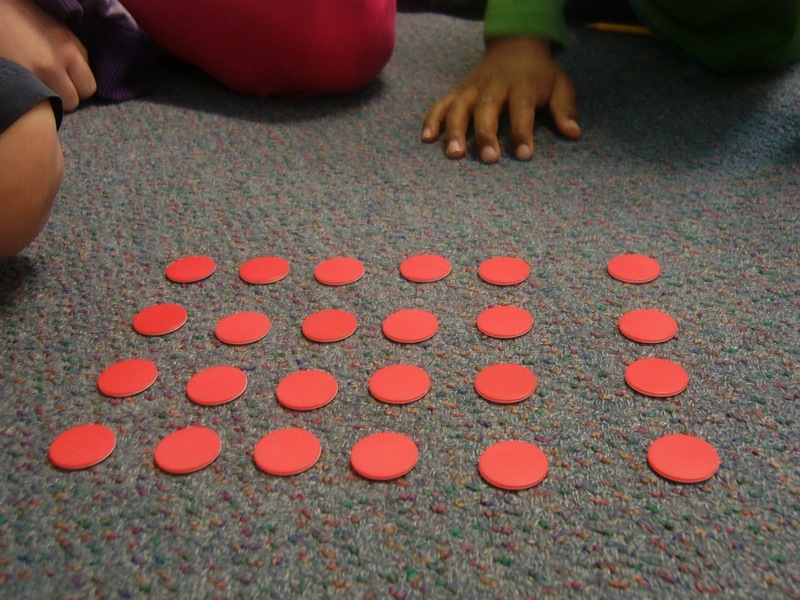 Invite students to use these factors to draw different arrays for the selected number. In pairs students roll two dice and make multiple arrays using the total of the two numbers rolled. Students draw the array, write on it the factors used as a multiplication (e.g. 3×4), cut it out and glue it onto their A3 poster next to or around the product it displays. Some numbers have only one array (prime numbers: a number that has exactly 2 factors, 1 and itself). Other numbers have more than one array (composite numbers: a number that has more than two factors). Some numbers form a square (square numbers: a number multiplied by itself). Observe and discuss examples of prime, composite and square numbers on students’ posters. Show students the composite number poster and primer number poster to show these numbers (or display them on a hundreds chart). Annotation of student multiplication array posters. Composite number poster (http://teachstarter.com/composite-numbers-space/) or a hundreds chart with the composite numbers coloured in. Prime number poster (http://teachstarter.com/prime-numbers-space/) or a hundreds chart with the prime numbers coloured in.